More than 1,000 undergraduate, graduate and law students will participate in Valparaiso University’s Commencement ceremonies on Saturday, May 16, and Sunday, May 17. The 2014–2015 academic year concludes yet another chapter of the University’s proven excellence in education, leadership, faith, and service. Valpo welcomed a total enrollment of more than 4,500 students — the largest in 34 years. Beacon Hall, a suite-style residence hall with large study and community spaces throughout the building, welcomed sophomore students for the first time. Washington Monthly named Valparaiso University the No. 3 master’s university in the country for its contribution to the public good. 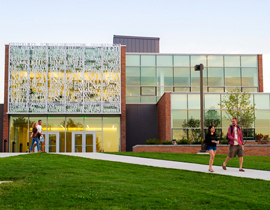 Valparaiso University achieved recognition by Forbes 2014 rankings as one of the top 100 colleges in the Midwest. Mark L. Biermann, Ph.D., began his first academic year as provost and executive vice president for academic affairs. The College of Nursing and Health Professions launched a five-year bachelor’s/master’s degree in physician assistant studies and a bachelor’s degree in public health. For the 26th straight year, Valparaiso University was identified as one of the best universities in the Midwest by U.S. News and World Report magazine. 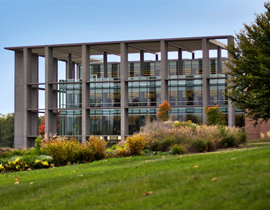 In the 2015 edition, Valpo was ranked the No. 5 Best Regional University, among more than 140 universities in the category, and was ranked No. 2 in the Midwest for Best Undergraduate Teaching and Best Value. Valpo welcomed Thomas Cedel, Ph.D., as the Distinguished Visiting Professor of Leadership. Valparaiso University officially took possession of the former Porter Hospital property to be used to expand and enhance campus facilities and programs. 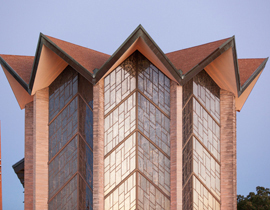 Moody’s Investors Service assigned an A2 rating to Valparaiso University’s bond issuance with a stable outlook, which indicates low risk to investors. The global credit rating, research, and risk analysis firm also affirmed Valpo’s A2 rating on outstanding debt. Valpo was recognized as a 2015 Military Friendly School by Victory Media, the leader in successfully connecting military and civilian worlds. The Brauer Museum of Art welcomed “Borders,” an installation by renowned Icelandic artist Steinunn Thórarinsdóttir. The installation was previously displayed in New York City, Seattle, Dallas, and Chicago. During Homecoming Weekend, Valpo dedicated the Warren G. Hoger track, located around Brown Field. The Caterpillar Foundation awarded Valparaiso University funding to support study abroad in China as a part of its partnership in the United States Department of State’s 100,000 Strong Initiative. Valpo will be able to award nine $5,000 scholarships for students to study at the University’s Hangzhou study center. Valparaiso University announced Scott Harrison, J.D., as director of human resource services. After capturing the Horizon League Championship Title, the women’s soccer team advanced to the Division I NCAA women’s soccer tournament. 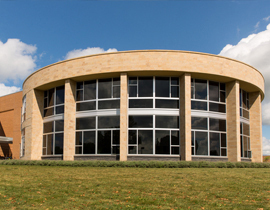 The University was recognized as one of Kiplinger’s Personal Finance’s 100 best value in private colleges for 2015. The ranking recognizes universities that combine outstanding academics with affordable cost. Valpo was named to the President’s Higher Education Community Service Honor Roll with Distinction, joining a group of select universities and colleges across the country that are honored for their support of volunteering, service-learning and civic engagement. Valparaiso University was designated a 2015 STEM Jobs Approved College by Victory Media. On Dec. 5–6, more than 200 Valpo students performed in the annual Christmas Concert, participating in a 90-year tradition. The annual Advent Christmas Vespers on Dec. 12 featured the Kantorei Choir and the Handbell Choir of the Chapel of the Resurrection. Valpo hosted its annual Martin Luther King Jr. Celebration. The 2015 events honored the theme “Hope, Action, Change” through speakers, presenters, and activities that promoted the respect and value of diversity on campus and within the broader community. In addition, the University honored various individuals and groups with MLK awards, including the men’s soccer organization for its #oneVALPO campaign. The Valpo Sorority and Fraternity community raised more than $33,000 for Lurie Children’s Hospital through the third annual Dance Marathon. On Feb. 17, the University presented “Realizing the Dream in Northwest Indiana: A Dialogue On Civil Rights in the Age of Ferguson,” during which community members, students, faculty, and staff gathered for open discussion about the current state of civil rights. On Feb. 19, Valpo’s Red Cross Club and the Northwest Indiana Chapter of the American Red Cross presented “Day in the Life of a Refugee,” which allowed visitors to experience a simulated refugee camp and hear from Valpo students who were once refugees. The American Society of Church History elected Ronald K. Rittgers, Ph.D., Erich Markel Chair in German Reformation Studies and professor of history and theology, as its next president. On March 16, Valpo broke ground on its new sorority housing site, located on the northwest corner of Union Street and University Park Blvd., across from Valpo’s Athletics–Recreation Center. After capturing the Horizon League Championship Title, Valpo men’s basketball returned to the Division I NCAA Tournament for the second time in three years. The College of Engineering launched a minor in biomedical engineering. Valparaiso University’s College of Business has maintained its business accreditation by AACSB International — The Association to Advance Collegiate Schools of Business. Valpo’s College of Business is among the elite 5 percent of business schools worldwide accredited by the Association to Advance Collegiate Schools of Business. The University celebrated its second “Proud to be Valpo” day of giving raising $532,325 from 2,414 donors. The Integrated Marketing and Communications office received Platinum Hermes Creative Awards for its “See Yourself Here” visit video and 2014 President’s Report and Gold Hermes Creative Awards for the Admission Viewbook, May 2014 Commencement video, and ROI Campaign. The May 2014 Commencement video also received a Bronze Telly Award. On April 6–11, Valpo hosted its 30th annual Jazz Fest, featuring Grammy Award-Winner Natalie Cole. Valpo announced the launch of a cross-cultural engineering program in partnership with Dalian Jiatong University. The program, which is approved by the Chinese Ministry of Education, allows Chinese and American students to study abroad, work together on innovative team projects and simulate the global context they’ll experience after graduation. Valparaiso University celebrated the 22nd consecutive year of graduate placement rates higher than 90 percent, with 94.5 percent of 2013–2014 graduates employed or in graduate school within six months of graduation, a 2.2 percent increase from last year. Margaret Lippert ’15 will spend the 2015-2016 academic year in Taiwan thanks to a prestigious Fulbright English teaching assistant grant. In the past 10 years, nearly 30 Valpo graduates have been offered Fulbright research and teaching assistant grants through the Fulbright U.S. Student Program. Valpo’s Social Action Leadership Team (SALT) wrapped up another successful World Relief Campaign, raising more than $37,000, which will help equip more than 600 children in Kabul, Afghanistan, with prosthetic limbs, orthotic devices, and mobility aids through The 400 Movement. The 2015-2016 academic year kicks off Aug. 26 with the University’s annual Opening Convocation and Taste of Valpo celebration.